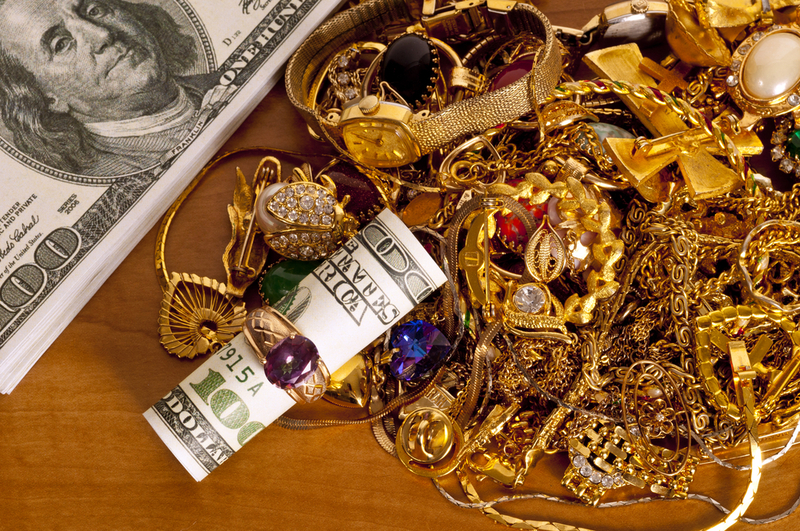 If you’ve been thinking about selling gold jewelry to earn some extra money, you want to be sure you get the best prices for your items. The easiest way to know you’re getting a fair deal is to know your quality marks. These indicators tell you how much gold is in the piece and how it was applied. Many people are familiar with the karat markings on gold jewelry. The higher the number listed before the K, the higher the gold content. These markings are typically listed as 10K, 14K, 18K, and 24K, the latter being 100% pure gold. The other karat markings mean the piece is made using an alloy, or gold mixed with metals such as copper, nickel, palladium, and silver. Fill: A base metal, usually brass or copper, is covered with a layer of solid gold. By law, gold above 10K must comprise at least 5% of the total weight of pieces made using this technique. Layers: A base metal is covered with very thin sheets of gold. Leaf: Before application, gold is hammered by hand into very delicate layers. The leaf is also applied by hand. Overlay: A base metal of brass, copper, stainless steel and others is covered by a thick gold coating of at least 10K quality. Plating: A very thin layer coats a base metal that is dipped in gold. It must also be at least 10K. Knowing the karat and quality marks can help you get the best price when selling gold jewelry. Even if you can’t wear a broken piece, it can still be valuable for its materials. For more than 15 years, All Things Antiques and Collectibles of Rochester, NY, has provided cash on the spot for a variety of items, including vintage jewelry, gold coins, and scrap metal. Call (585) 647-9320 or visit their website for more information about buying and selling gold.